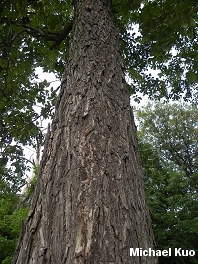 Bark furrowed, developing ridges and criss-crosses but not breaking up into large, shaggy plates; leaves compound, with 5 smooth leaflets; nut shells think to somewhat thick; growing east of the Great Plains. Habitat: Upland woods; growing east of the Great Plains. Stature: 60-100 feet high; to 3 feet in diameter; with a rounded or irregular crown. 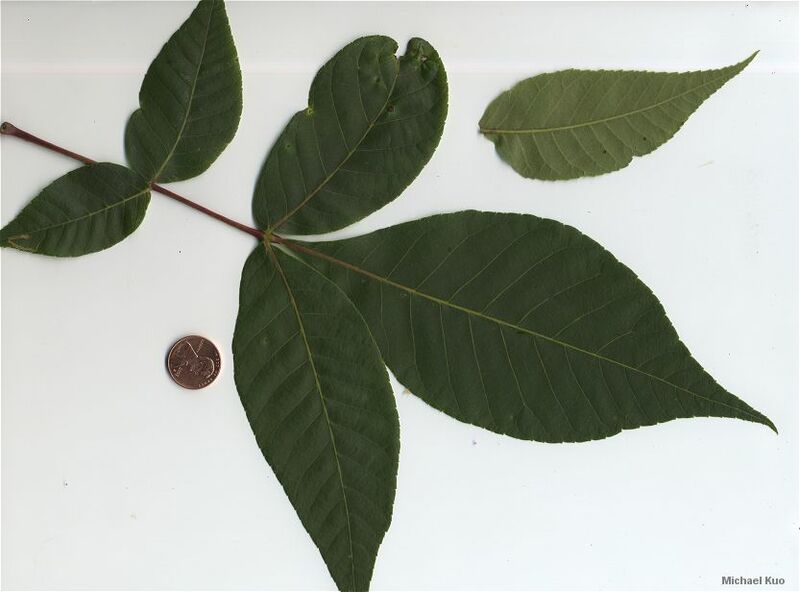 Leaves: Compound; composed of 5 (rarely 7) leaflets; leaflets candle-flame-shaped, finely toothed, with the end leaflet up to 6 inches long; dark green and smooth on top, paler and smooth below. Bark: Dark gray; becoming furrowed into X's and diamonds. Nuts: Often somewhat pear-shaped; up to 1 inch long (sometimes larger); nut shell thin, or up to about 1/8 inch thick (occasionally thicker); nut compressed, bitter. 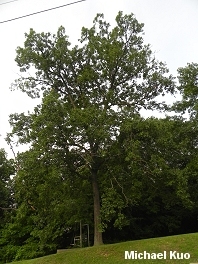 Some taxonomists consider pignut hickory and red hickory to represent the same, variable species.